You’re just 3 ingredients away from delicious French Toast Waffles with Challah Bread! Need a super quick breakfast? Look no further. 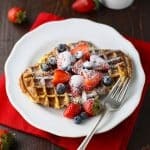 These French Toast Waffles with Challah Bread can be made in a jiffy and are so yummy! I made them for my daughter and her friends for breakfast after their sleepover. They are picky teenage girls. They LOVED these French Toast Waffles with the addition of lots of syrup, of course. Making them is so simple! Beat eggs and milk together. Add cinnamon and stir. Place sliced egg bread in the egg and milk mixture, coating on both sides. Bake in a hot waffle iron until golden brown. 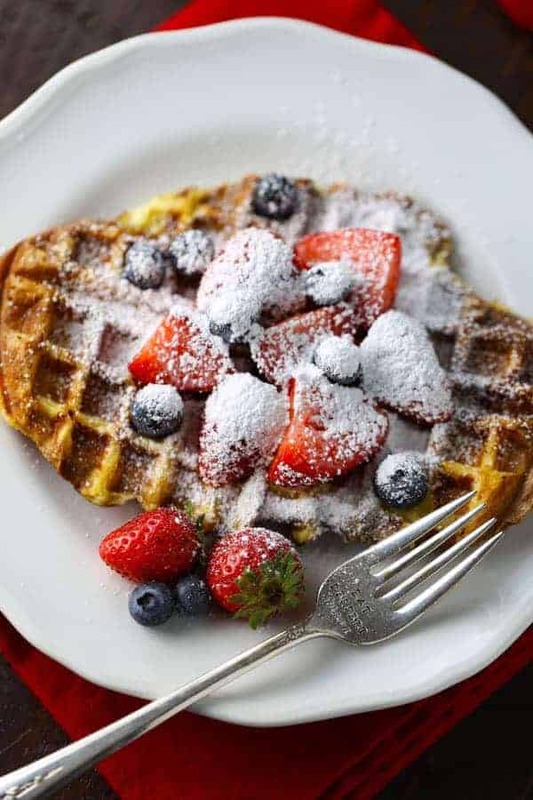 Serve warm with berries, powdered sugar and syrup, if desired. I used egg bread or Challah which I bought at my local Publix bakery. You could also use your favorite bread. So, have you ever heard of French Toast Waffles with Challah Bread? This was my first time making them and I’m hooked. Easy and delicious! 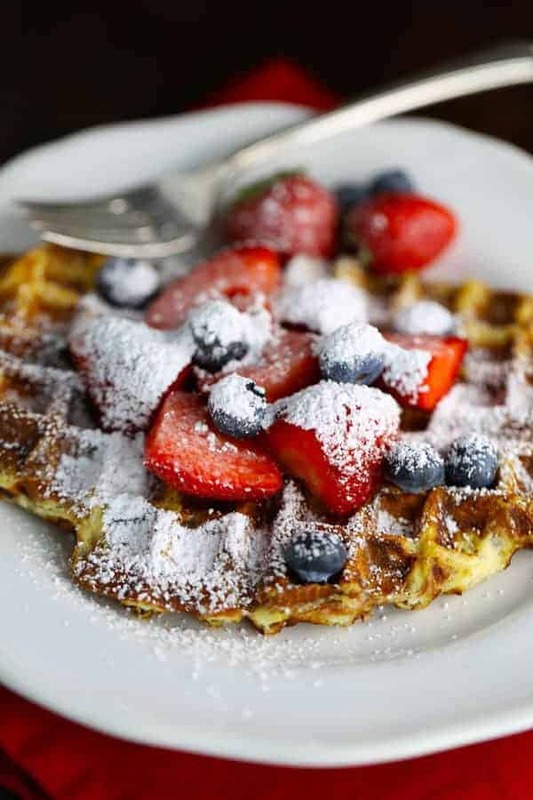 What’s your favorite waffle topping? Let me know in the comments. I love hearing from y’all! Brush waffle iron with vegetable oil and preheat to medium high. Add eggs and milk to a medium sized bowl. Beat with a fork until completely combined. Stir in cinnamon, if desired. Place a piece of bread in the egg/milk mixture. Turn it over, so it gets wet on both sides. Place on hot waffle iron and close the lid. Let it bake for 90 seconds or until golden brown. Remove to a serving plate. It's ready to eat. Repeat process with remaining bread slices. 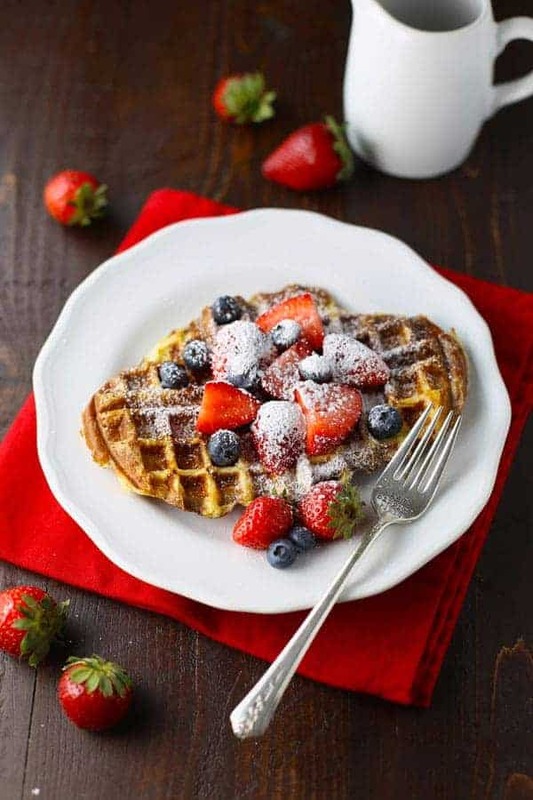 Brush the waffle iron with more oil, if needed, before adding each egg/milk soaked piece of bread. 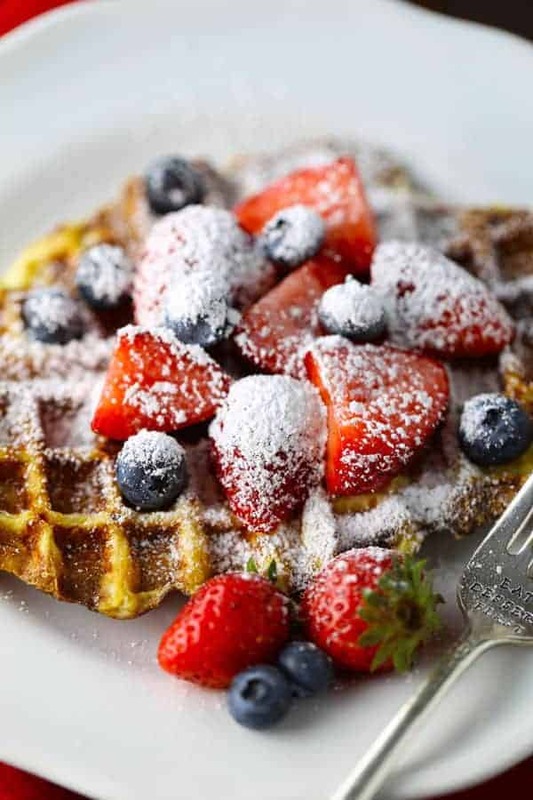 Serve with fresh berries, powdered sugar and syrup, if desired.